Nowadays most adventures are somehow tamed and far away from being truly challenging. This way motorcyclists traveling “alone” all the way down through Africa have an entire crew with three cars to follow them for assistance. This way the truck traveling through Groenlandia simply follows the path opened the day before by someone else. Even though sometimes there’s still someone that wants to play outside the common rules and takes off alone. “Adventure Motorcycling Handbook” by Chris Scott. “Michael Martin has become a specialist in photographing and writing about deserts. Born in Munich in 1963, he had already discovered his love of deserts by the age of seventeen. Over two decades he has undertaken eighty journeys through the deserts of Africa, published 15 books of photographs up to now and held over 1,000 slide presentations, including one at the Royal Geographical Society in London. In 1999 he began work on his latest project “Deserts of the Earth”. “On this latest project Planet Desert, Michael Martin will stay with his well-proven method: he will travel with a standard BMW R1200 GS Adventure adapted only with a few special features provided by Touratech for extreme use such as a pannier system, ceramic clutch, GPS, long-distance headlamps and oil pan guard. 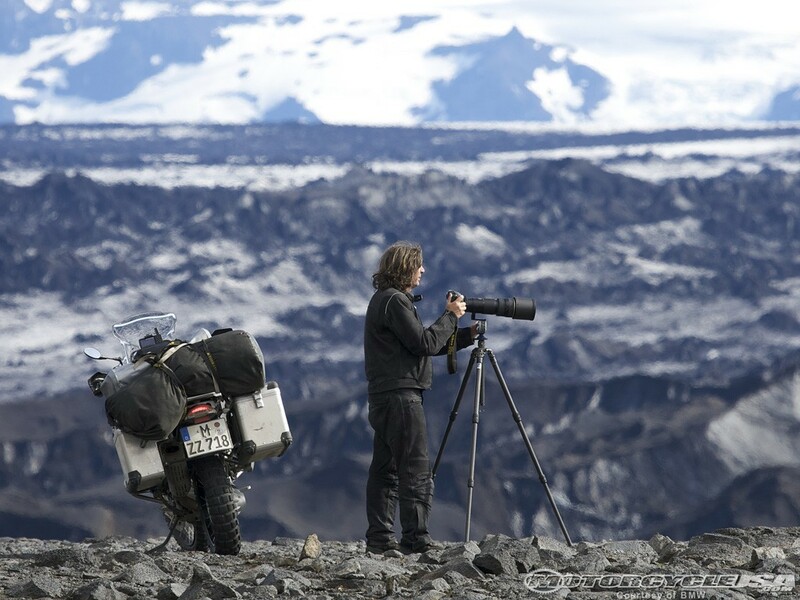 In addition to the travel-tested R 1200 GS Adventure, Martin will also be making use of the BMW Motorrad range of accessories and rider equipment which has proved itself many times over on such extreme projects. Documentation of Martin’s travels is up to him as he will travel alone to some of the most remote spots on earth.